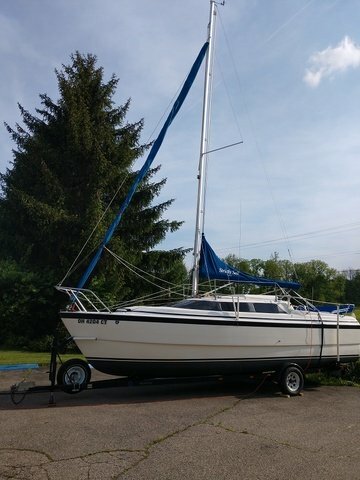 Please call owner Ron at 937-728-7698. Always stored indoors. No rot or smell. Roller furling jib. Roller furling mainsail. 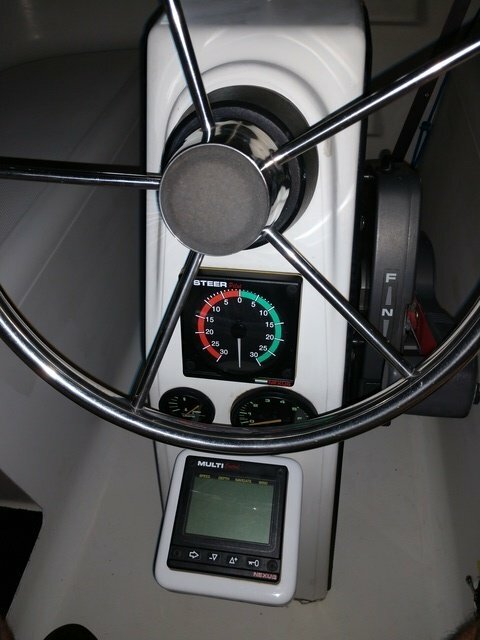 Nexus Network, Wind speed and direction, Water depth and temp, Log, Fluxgate compass, Two Multi displays (one interior, one cockpit), Steer pilot display (cockpit). Garmin GPS. AM/FM/Weather stereo. Pressure water/2 six gallon tanks. Stove. Unused portable head. Two 130% Genoa (one new). One 100% Jib (new). One Asymmetric spinnaker with sock. 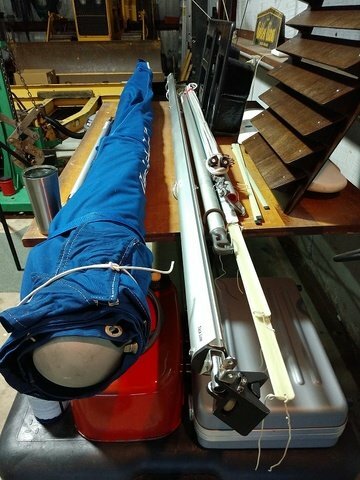 Two Mainsail (one roller, one standard). All running rigging replaced with Harkin blocks. Bowsprit. 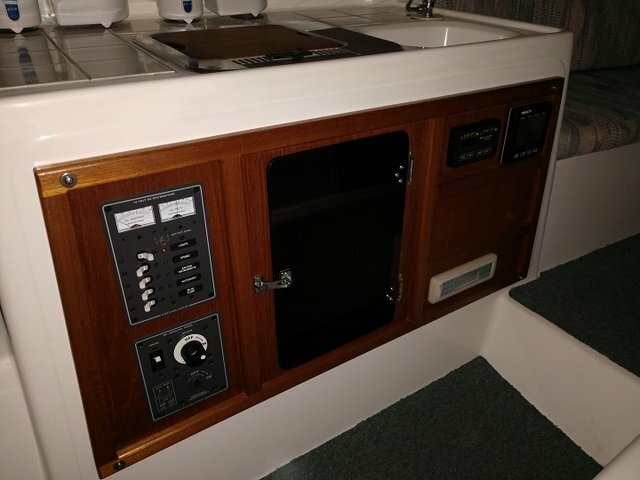 Louvered screen cabin door. Beach boarding ladder. Tohatsu 50 horsepower engine. Two nine gal. fuel tanks. Whisker pole. Much more. Trailer.